Finally! After years of thinking about trying my hand at making a quilt, I have completed all of the blocks for my very first one! 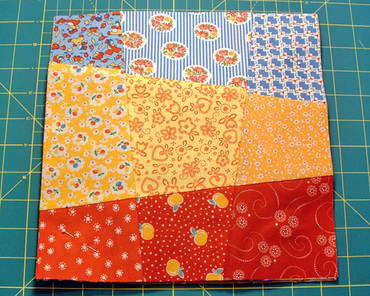 I took a class last week with my Bernina sewing posse, and learned how to make a "crazy nine patch." It is incredibly easy to make these blocks! I snapped pics along the way so you can try it, too. 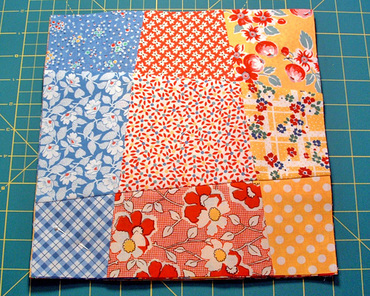 This quilt uses 36 fat quarters. 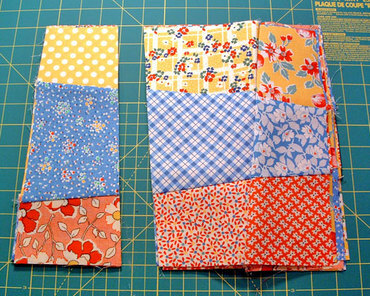 I chose 12 each of red yellow and blue 1930's inspired fabric. Once you've chosen your fabrics, wash or rinse, dry them, then give a liberal spraying of starch and iron them so they're nice and stiff. Using a rotary cutter, cut them into 36 squares. Mine are 12" but you can go bigger if you like. 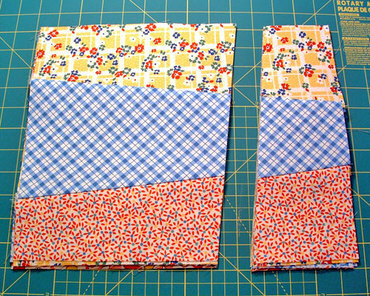 Divide into four stacks of 9 squares with the colors arranged red yellow blue red yellow blue, etc. 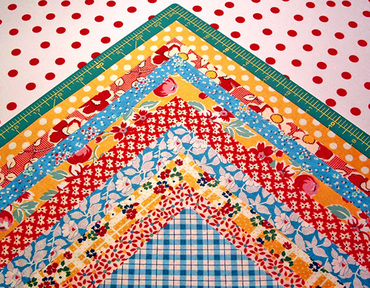 But vary the order and which color is first in each stack, to assure a random scattering of color across your quilt. Make sure the bottom edge of your strip is at least 1.5" from the corner. 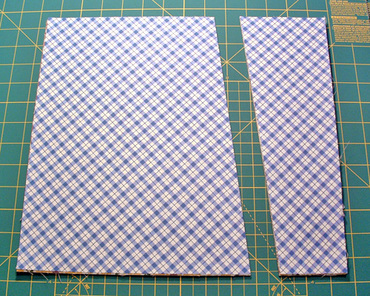 Same as before, put the right sides together of the top pieces and sew along that edge, then open out and put back in the same order. 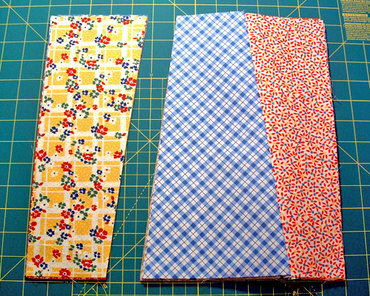 Take the top THREE pieces from the narrow stack and move them to the bottom of the stack, and sew pieces together as before. (I won't show photos of every step) Then open up and re-stack in the same order, align the edges and make one final angled cut like so. Same as before, put right sides together and sew along the edge, then open out and re-stack. Press seams to the middle. Make sure to keep each stack together. 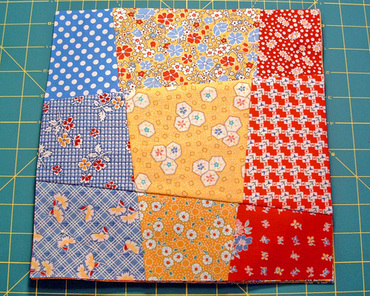 When you arrange the blocks on the quilt you will need to have them still in their original groupings. 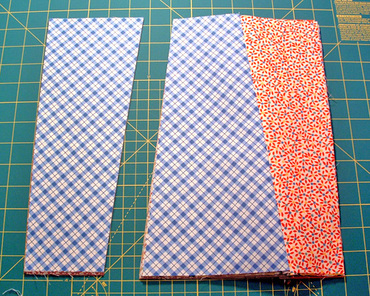 Now do the other three stacks the same way, then trim all of the blocks down to a uniform square size. In my case, 10". 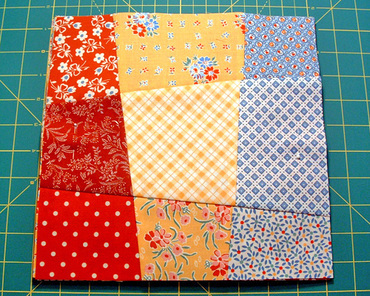 Its probably a good thing that I'm doing this particular quilt for my first try. And these colors are really making me very happy! I am still waffling on what color to choose for the sashing and border, but I'll settle on something eventually. Have a great weekend folks! We're off to get Mexican food!